The car that is without a doubt always associated with Britain and England. It is probably the most famous and well known British car of all time. Introduced in 1959 it went into production the same year and by the end of the year several thousand were produced. It immediately became successful due to its frugality and ease of use. With front wheel drive configuration it also became a model for other small cars later. For such a small car it was revolutionary in a way how space was maximised. With small overhangs in the front and rear it also gave Mini superior handling, pretty similar to that of a go-kart. Mini Mark I was supplied with several engines ranging from 848 cc to 1,275 cc coupled with 4 speed manual or automatic transmission. Later five speed manual was offered for extra fee. 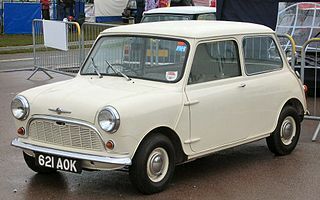 Mini Mark II that was produced from 1967 to 1970 came with similar engines and same transmission but with slightly different front design and larger rear window. 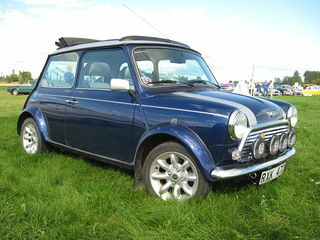 Due to ever increasing popularity variants such as Mini Traveller and Mini Countryman were introduced. 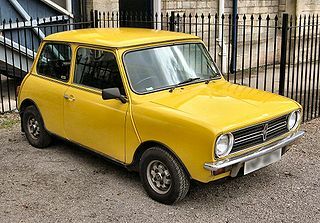 Mini Mark III to VII ( produced from 1969 to 2000 ) saw slightly modified body shell and larger doors but the engines were the same on Mark III. Only four speed manual transmission was offered. Over the years small modifications were offered but the car itself became increasingly obsolete. It was still popular but cars with better design and engineering became available and Mini slowly lost its flair. 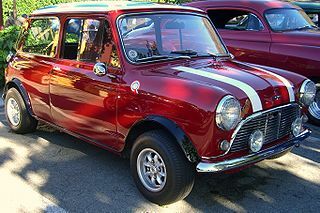 First Mini Cooper was fitted with same small 848 cc engine as standard car but due to engine modifications it provided 55 bhp. Short ratio gearbox and front disc brakes was an added extra that made the car agile and able. Cooper S went even further with even bigger engines. It was a star at Monte Carlo Rally taking victory three times ( 1964, 1965, 1967 ).